The place where you spend more than a quarter of your life plays an important role in your mental and physical health. In addition to contributing to your working productivity. That’s why office buildings and working spaces started being renovated, to cope with the demands of an ever-evolving work environment. Find out why the cloud-based App PlanRadar is the tool to utilize. Do you know how much time you normally spend in your whole life at work? Researches have shown that if you are working since age 18 till 68 you probably have spent 92120 hours at work, which is nearly 35% of your total waking hours in your life. Multiple construction companies are now specialized in designing and renovating office buildings, with the newly developed software technologies. This market is growing to create various solutions and applications that can help in providing a more comfortable workplace. This industry is full of details that matter in the design, a minor change in furniture, color or even planting can help make an influencing impact. If you want to join this business you have to start utilizing technology. Use a software application like PlanRadar to track tasks, changes or defects. Follow this article to find more about what the new trends in designing workplaces are and how they can affect your team performance and productivity. In order to produce a unique and simple workplace, you need to begin with the needs of your employees. Start by gathering data from your staff and ask them about their idea of the perfect company. This should give you a basic guideline for your design. Some companies as Humanyze have developed a new analytical system with infrared sensors, microphones, and Bluetooth to track the employee’s movements and speech patterns. These data sets are collected after the employee’s agreement and stored anonymously to save their privacy. Such a technique can help you to improve your workplace utilization and create your own tailored office easily. Activity-based working is a new feature that combines open and private spaces at work. With this strategy employees will not have assigned fixed desks, instead, they can choose where and how they work, depending on their tasks. What matters in this system is only to achieve the highest productivity levels. This strategy started to spread, and we are expecting more companies to adopt it in the upcoming years. The design approach is using sound absorbing walls and movable working benches that can reshape the workplace in a more flexible way. There are even google apps that can be implemented into your working environment (f.e. online reminders) to remind you of different tasks. The sustainable trend is taking place on market now in multiple ways. However, the office building designers have gone beyond just installing some greens and living walls. The environmental design approach is basically designed for the best health and physical well-being. This strategy is offering additions as a suitable light intake at different times of the day, purified air and supported seating areas. A recent study showed that 60% of employees say they’d feel more motivated and more likely to recommend their organization as a good place to work if their employer took action to support mental wellbeing. Monitors are one of the most used tools in the office spaces. 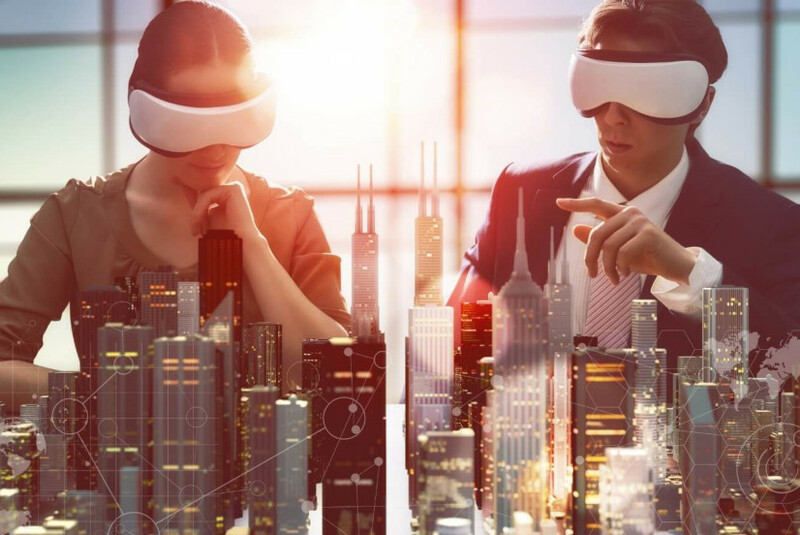 Recently many offices upgraded their screen sizes to larger ones while some others went even further, by installing augmented reality headsets, Holographic displays or using transparent screens. 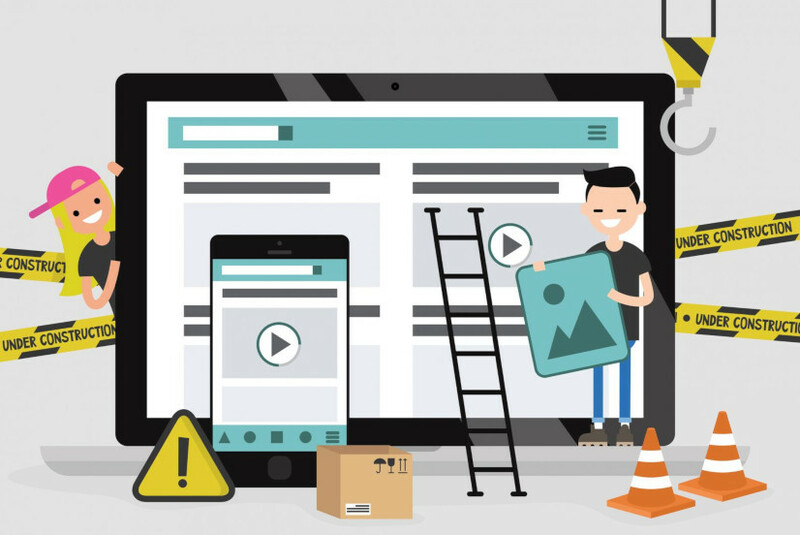 These technologies are in a limited use, but they help out a lot in special tasks, such as remote monitoring of your site. In this case, you need to set up a room full of monitors to track several project workflows. Finally, the biggest investment you can do for your construction business is to support your work with the needed software tools. This will not only get the profit back to your company but also to your employees and customers. People tend to be more motivated when they feel that they have the best tools to work with. Start your 30 days free of charge trial now and see for yourself how PlanRadar supports your projects with complete documentation, defect tracking, time scheduling, and team communication features. Team communication: Blueprint software enhance your connection with all of your team members. You can simply send a notification about any inquiry and immediately get a response back. In this way, you create a one to one relation among your team and eliminate the time spent waiting for urgent responses. Data documentation: It’s now a thing of the past to save your documents and drawing on a hard copy. Softcopies are the replaceable version which allows you to send or receive updates within minutes. Updated training: Training is the main enhancing tool for your team performance. Search for the best civil engineering app, train your team on using its features and you’ll reap the benefits afterward. Fewer delays: By using a blueprint software you minimize the time spent on sending modifications, emails and tracking defects. Every minute you save during the construction process minimize delays within the project. While choosing the best planning android app to enhance your productivity, there are a few things you need to take care of, such as milestone calendar reminders, list of tasks and advanced scheduling. 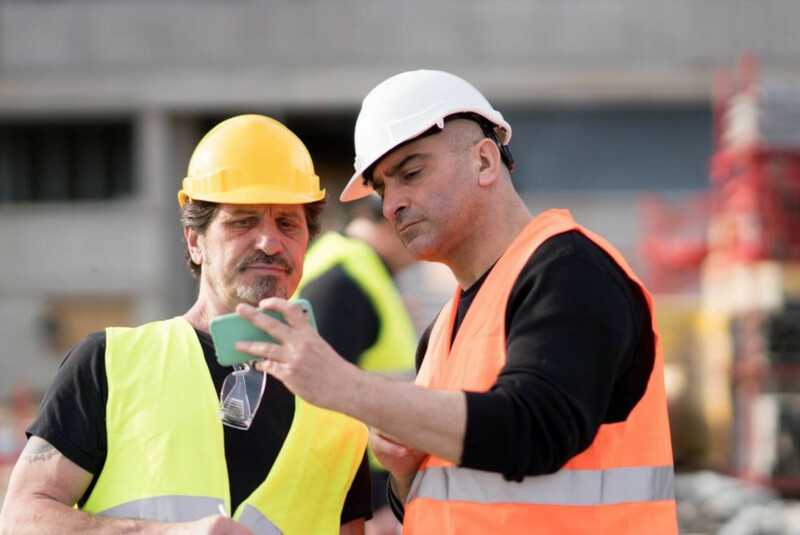 Most of these construction management apps have a free trial version where you can test all their features yourself, to choose which is the best addition to your work. Keep in mind that the construction management application market is developing at a rapid pace now. You should not get left behind. Book your front row seat and start to use PlanRadar. For further inquiries, you can our customer care center anytime. Which construction apps for iPhone are the best?